Located in Key West, Florida, Nearshore Electric Inc. is dedicated to providing the best electrical services in the Florida Keys at reasonable rates. With years of experience, Nearshore Electric Inc. is the Florida Key’s repair, service and new construction specialist for residential, commercial and industrial electrical needs. Whether you need wiring for your remodeling project, repair for your parking lot lighting, or have a new facility to construct, Nearshore Electric Inc.’s clean, neat, and knowledgeable electricians can handle any size job. We specialize in all facets of electrical work and are fully licensed, insured, and bonded. 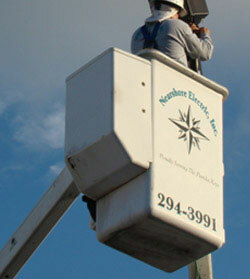 Call Nearshore Electric Inc. and receive your free estimate today.